After falling in love with Poor Richard’s Tavern Spruce (aka the Benjamin Franklin Beer), next up is Sir Thomas Jefferson, better known as the guy Alec Baldwin parodied on 30 Rock. And I’ve gotta say, immediately, Yards Brewing Company produced another winner. 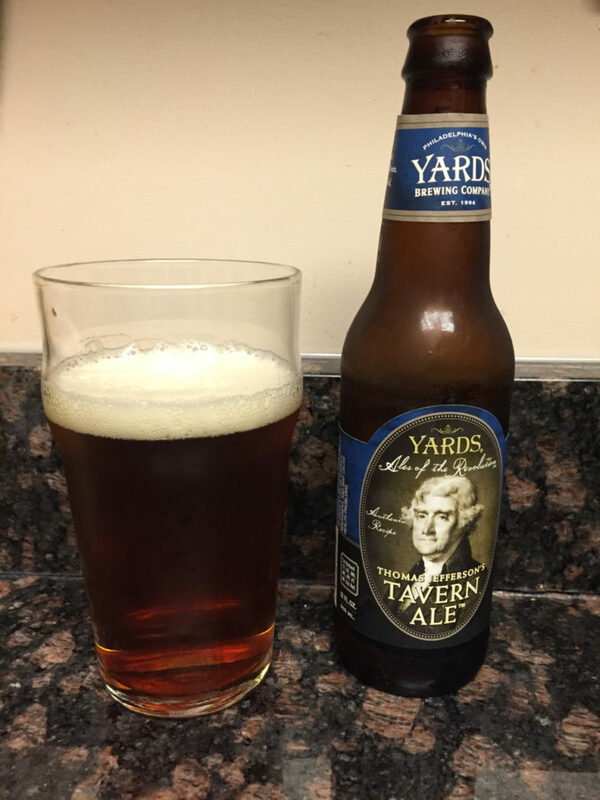 With a very distinct taste, the Tavern Ale fits the style of this line of American founding father brews while different enough from the next to stand on its own. 8% alc and 4 stars. Next up is the George Washington Tavern Porter.